And why I love Amazon! Today we learned that Governor Perry vetoed taxes on sales by online retailers. I read in the press that Amazon, a Seattle-based company with $34 billion in annual sales, was the main target of the bill. No sales tax will save me money. I am a huge customer of Amazon going back years and years. I buy just about everything from them; books, food, DVDs, TVs, computer equipment. The prices are incredible and it is just so easy to order. I have lots of things on monthly delivery, especially coffee and cereal. I can order 24-7 and they show up at the front door a few days later. I don't pay for shipping much - I suppose I order so much at a time that I get it delivered for free. 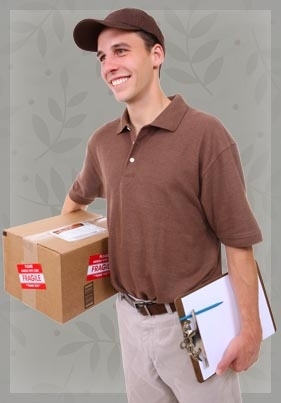 My delivery guy has been the same for years and my Amazon packages usually arrive at the same time everyday. It's very convenient. I really use the reviews on Amazon and have posted a few myself. The reviews have saved me time and time again in making buying mistakes. I have been ugrading my movie collection from DVDs to BluRay. Sometimes the BluRays are not superior to the old DVDs and reviews have helping to avoid the bad ones. I only have one complaint about Amazon deliveries are the boxes. I get so many of them they pile up in my garage. I should cut them up and bundle them, but I end up tossing them in a corner until the pile reaches the ceiling.